If a situation arises to prank one of your best mates, for whatever reason, the chances are you would take it. Think of all the possibilities – posting a fake ad under their name on Craigslist, covering their car in post-it notes or swapping sugar for salt in their first cuppa of the day. All hilarious options. But what if you were given the opportunity to embarrass them at work, in front of a load of people? Would you take it? 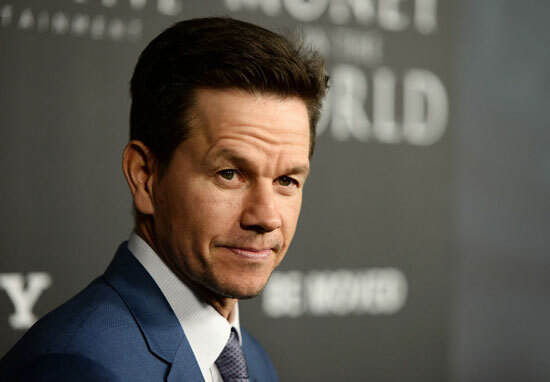 That’s exactly what Mark Wahlberg did to Will Ferrell, he has revealed, during filming for Daddy’s Home 2 which was released back in 2017. As anyone who has watched the acting duo together knows, the pair have an unmistakable chemistry and as such provide hilarious moments of comical value in the films they star in together. In Daddy’s Home 2, their characters are attempting to get along for the sake of the children, meaning their relationship is full of quibbles and quick-witted comebacks. And although the majority of the film is scripted, it is doubtful that it would have worked so well if the two didn’t have such natural chemistry. In order to make sure the film is not simply a reiteration of the first, two new characters were introduced – Don (John Lithgow) and Kurt (Mel Gibson), the pair’s dads. It’s Lithgow’s character that embraces Ferrell at the beginning of the film, resulting in the most iconic kissing scene in cinematic history (okay, maybe not). And it’s during this scene where Wahlberg took his chance and was able to prank Ferrell in an unexpected – but hilarious – way. I did prank Will – it was about the kissing scene with John Lithgow. I would encourage John to kiss him as often as possible and make them long and awkward. And not necessarily a wet, open-mouthed kiss but he would definitely blow air into his mouth and nasal passage. If you haven’t seen the film, the kiss between father and son is unusual to say the least. The pair embrace in quite a childlike manner, before kissing each other for an awkward amount of time. So now to realise that the scene was filmed multiple times, each one more awkward than the last because of Lithgow and Wahlberg’s plan, makes it even better. In all fairness, I’m not sure how Wahlberg managed it, what with his gruelling daily schedule which he recently posted to Instagram. In case you missed it, it involved him getting up at 2.30am in order to fit in all of his necessary tasks for the day, including two workouts and a game of golf. Now I don’t know about the rest of you, but getting up before 8am proves difficult for me on a daily basis. So I have no idea how he gets up when it’s still pitch dark outside. But clearly it’s working for him and if he can still find time to have a laugh with his mates, then good on him! I think I’ll stick to my lie ins though, thanks.